After trying Tease 15 Day Teatox for 15 days, I’m not a fan of it. My favorite part about this tea is the infuser they give you with it, haha. It’s great, it even comes with a little plate to catch all the extra water on it. But besides the infuser, there’s not much I like about this tea. I really don’t like that it includes Senna Leaf. Senna is a very harsh laxative that can have some negative effects on your body. You also need to drink 3 glasses of these teas per day! That’s a lot, and it became hard to remember, not to mention hard to choke down by the third glass. Neither the daytime nor evening tea taste very good. The daytime tea is super bitter and pungent. 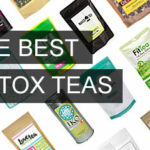 I also didn’t see any weight loss results while drinking these teas, which was a letdown. I didn’t even feel better or healthier! So overall, I don’t care for this teatox much. 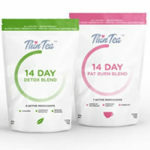 Tease 15 Day Teatox comes with two teas… a daytime tea and an evening tea. Both of them are loose leaf, but the teas come with an infuser, which is great. Now, this one isn’t the easiest to use because you need to drink 3 glasses per day. Yes, you heard that right, 3 glasses! Also, the directions aren’t anywhere on the product; you need to visit the website to find out how to use the teas. So on their website, it says to drink a cup of the daytime tea when you wake up, and another one mid-afternoon. It says to drink one cup of the evening blend at night. I found that drinking 3 glasses a day is just too much. It’s hard to remember, and it’s also just an overload of tea. After 3 cups a day, I was sick of constantly drinking tea! Also, there are no directions anywhere on how long to steep the tea. So I steeped them both about 3-5 minutes. I found it very bizarre they were so vague when it comes to how to use the teas. Neither of these teas taste great. The daytime tea is especially bad. It tastes very bitter. I could taste a little lemon, but not much at all, mostly just a pungent, bitter flavor. The evening tea tastes a little better. It has a light floral taste. It has rose petals in it, so I think that’s where it gets its floral notes from. It’s not the worst tasting, but also not the best tasting. The daytime tea has some good ingredients in it. For starters, it has Yerba Mate, which is good for a caffeine boost during the day, and also for boosting your metabolism. It also has Lemon Grass and Lemon Pieces in it, which gave it a slight lemon taste. Now the evening tea’s ingredients aren’t as good. The first thing I noticed is it has Senna Leaf in it. As most of you know, I really don’t like Senna Leaf. It’s a very strong laxative that has a really harsh effect on my body. It also has Decaffeinated Green Tea, which is interesting. I like that it’s decaf because you drink it at night. Green tea also helps boost your metabolism and can help you oxidize fat at a faster rate than normal. The evening tea also had rose petals and lemon pieces in it. I didn’t see any results while using Tease 15 Day Teatox. It didn’t help me lose any weight or control bloating. I literally felt the same as I always do while I was using this tea. So this definitely isn’t a miracle tea, don’t expect to lose large amounts of weight just from drinking this teatox. Both of these teas hurt my stomach and had me running to the bathroom often. I didn’t feel too hot while drinking them. Tease 15 Day Teatox is $49 for just 15 days. 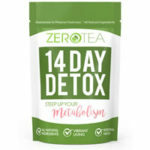 That’s $3.27 per day, which is one of the most expensive detox teas I’ve ever seen! Nope, they don’t have any guarantee. And you can only return the product if it’s been damaged, which is really lame. 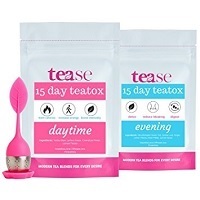 To buy Tease 15 Day Teatox, Click Here. Taste Neither the daytime nor evening tea taste great. Results I didn’t see any positive results; I stayed the same weight. Side Effects My stomach hurt while using this teatox. Price/Value It’s $3.27 per day, that’s SOO expensive.